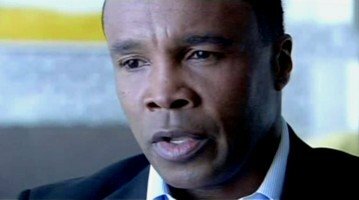 Even the cerebral Sugar Ray Leonard never knew when to quit. The toughest thing in the toughest sport of all, boxing, is being able to walk away; knowing when enough is enough. Time and again, great and special fighters fought that one fight too many. It was going to be different with Ray Charles Leonard, though – Sugar Ray was smart, very smart. But although Leonard never hurt for money, though he never had a bad loss he simply could not resist trying to avenge, Leonard did have a massive ego. It was this ego, and his unwillingness to pay attention to Father Time, that saw the once untouchable welterweight and middleweight fight two fights too many: one versus Terry Norris (27 years ago today) and one versus Hector Camacho (R.I.P) in 1997. Sugar Ray lost them both. Badly. In front of a pretty poor live gate (Madison Square Garden was no way near close to full for Sugar Ray’s debut at the legendary venue), new stud Norris gave old master Sugar Ray a pretty sad-to-watch beating. His reflexes faded (dropping down to 154 didn’t help the ageing fighter), his punch resistance also diminished, the five-weight world champion’s raw courage was the sole evident quality Leonard had retained. Avoiding the ignominy of being knocked out or stopped, Leonard somehow made it through to the 12th and final round; managing to navigate the danger this last three minutes posed him, these 180 seconds being very nasty ones for the former Olympic golden boy. At the end it was nowhere near close on any of the three cards, with one judge scoring for Norris by a whopping margin of 120-104, and Norris, a gracious winner, had defended his WBC belt for the second time. Afterwards, speaking to those fans in attendance who had bothered to turn up, Leonard – the man who had once mastered fellow greats Thomas Hearns, Roberto Duran, Wilfredo Benitez and Marvin Hagler – thanked his supporters and told them this would be his last fight. Sadly, as we all know, it wasn’t. Though he had refused to be KO’d or stopped against Norris – who never actually went on to become the huge star some judges felt he would become – Leonard unwisely made the decision to try his luck one more time; against the relatively light-punching Hector Camacho, in March of 1997; some six years after the loss to Norris. On this occasion, showing us once and for all how little Leonard had left, “Macho” finished the job Norris had pretty much already accomplished, and ended the career of the man Ring Magazine recently listed as the greatest living fighter in the 5th-round in Atlantic City, New Jersey. Leonard, who is in much better shape than is the sadly almost unintelligible Norris, jokes today of how he bought up the rights to both his final ring appearances, so as to prevent anyone from ever viewing them again. As intelligent and smart a guy as he is, Leonard should never have had the fights with Norris and Camacho in the first place, as we all know. Despite losing his last two outings, however, Leonard’s place in boxing history is secure. So too is Norris’ – although not quite as exalted. Wins over Don Curry, Meldrick Taylor and Simon Brown followed for Norris, but it could be argued how the win that took place all those years ago today was his finest hour. As for Hector Camacho, he was cruelly denied the right to be able to look back and enjoy his fine ring achievements beyond the age of 50, as he was shot and killed in 2012. It really is a tough thing for any great fighter to do, go out on a high note. In a strangely ironic way, these three special fighters: Leonard, Norris and Camacho, are all proof of this in a quite vivid manner.